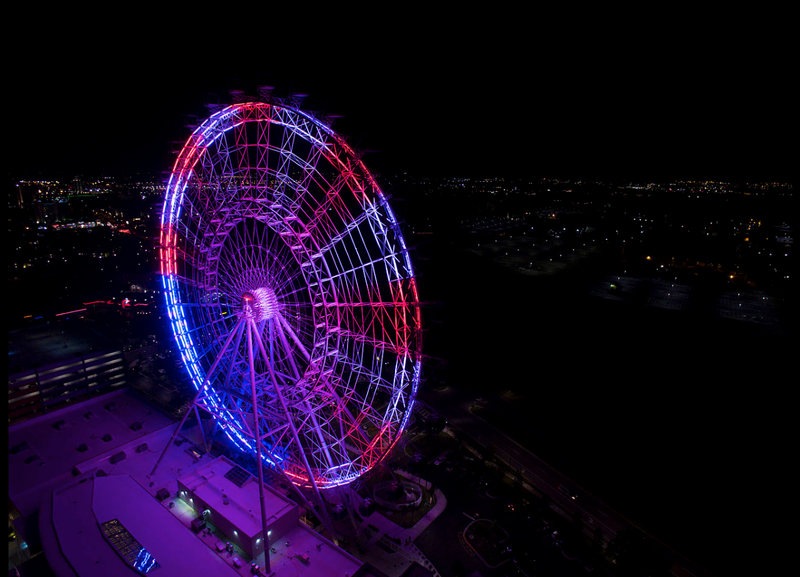 The original Orlando Eye Ferris wheel carried its first passenger on April 29, 2015. 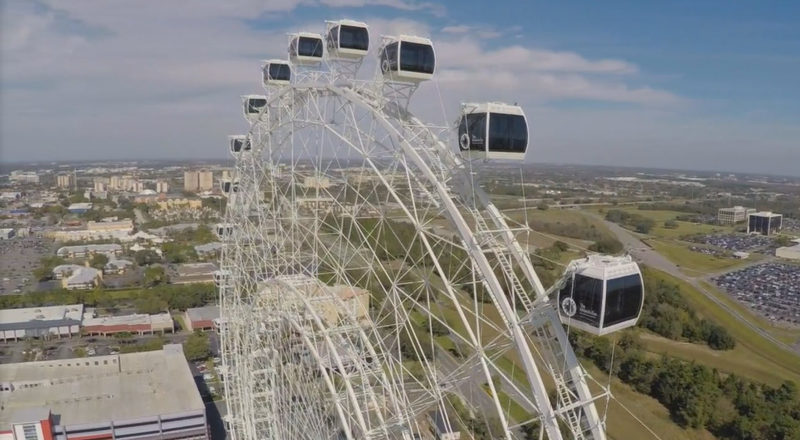 Since July 28, 2016 it has been called the Coca-Cola Orlando Eye and currently is the tallest observational wheel on the United States East Coast. The 400 ft. tall Ferris wheel is located in Orlando Florida (8401 International Drive #100). Because the topography around the Greater Orlando area is so very flat views from the capsules include the City of Orlando skyline, vast areas of central Florida and on a very clear day the Atlantic coastline all the way to NASA’s Cape Canaveral (54 miles away). Stats show each of the 30 capsules weigh 6,600 pounds, or the average weight of an Indian elephant and weighs approximately three million pounds, that is 1,500 tons or equivalent to 300 school buses.